YANKTON, S.D. 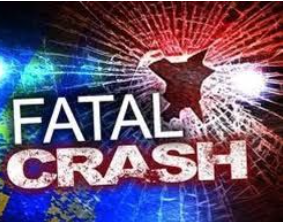 — Authorities say a South Dakota man who caused a crash last week, killing himself and four other people, was being pursued for traveling at a high speed before the collision. Yankton interim police Chief John Harris said Wednesday that the sergeant who attempted to stop 29-year-old Michael Worlie of Sioux Falls was operating within the scope of the department's pursuit policy. Harris declined to identify the sergeant who pursued Worlie in the early hours of July 4 near Yankton. Officials say the headlights of the car Worlie was driving shut off and the vehicle crossed into oncoming lanes, hitting another car. Worlie and his passenger died. Three Yankton residents in the other car died, and a 12-year-old girl suffered life-threatening injuries. The South Dakota Highway Patrol continues to investigate.